The ICCA Consortium has a new President! 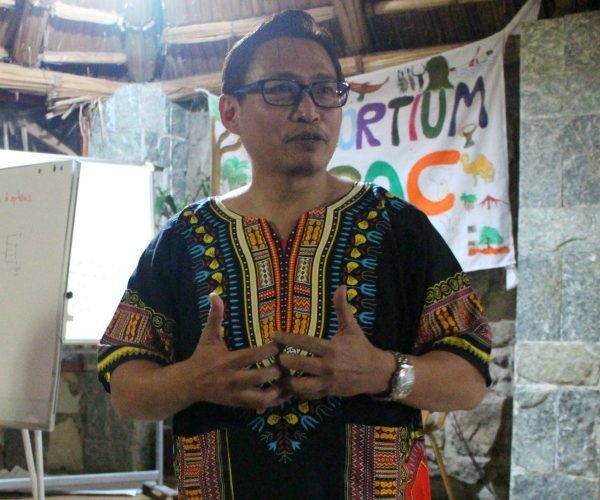 We are delighted to announce the election of the ICCA Consortium new President: Teodoro Brawner Baguilat Jr.
Teddy is a member of the Tuwali indigenous tribe of Ifugao and the Gaddang indigenous Tribe of Nueva Vizcaya provinces in Northern Philippines and champions the cause of all indigenous peoples. He has been Honorary member of the ICCA Consortium for several years, follows closely the ICCA Consortium work in the Philippines especially and has spoken in various international conferences on ICCAs, conservation and heritage sites, human rights and indigenous cultures. He chaired the Philippine Congress’s Committee on National Cultural Communities from 2010 to 2013 and was Vice Chairperson of the Committee on Indigenous Peoples from 2013-2016. He has proposed laws protecting the rights of indigenous peoples and promoting their culture, such as bills designed to specifically protect ICCAs, manage forest resources, rehabilitate and preserve the Ifugao Rice Terraces, and the bill against the discrimination of marginalized sectors, including indigenous peoples. He also authored a bill for a national land use act in the country that includes ancestral lands as one of the three main land domains in the country. He has been the Congressman for the lone district of Ifugao in the Philippines since 2010. He has also been Governor of Ifugao and Mayor of Kiangan, a municipality of Ifugao. More information on his achievements can be found here. After several months of work by the Search Committee, the XIIIth General Assembly, held in Bishoftu, Ethiopia, on the 12th and 13th of November 2018 elected a successor to Taghi Farvar, to serve for the next three years! During the meeting, we all felt very strongly the spirit of Taghi still with us and his legacy guiding us. Teddy arrives at an important moment in the history of the Consortium, with many new and crucial changes happening. Among them, is the emerging implementation of the regionalization of the ICCA Consortium which follows a series of Regional meetings and decisions made on the governance and executive structures of the regions. For the first time, the Consortium also adopted its own policy, on “defending the territories of life and their defenders”. The ICCA Consortium welcomes Teddy and looks forward to a fruitful new period of leadership!